Hacking, server crashes, bad running commands or simple user error can completely wipe out your WordPress site forever. That’s why you need Backup Bank, the simplest way to make your WordPress Site Safe. Why Backup Your WordPress Site ? Your WordPress website needs a reliable backup strategy. WordPress security issues include hacks, malware, user error, deleted files and running bad commands. All of these things can completely wipe out your WordPress site forever. These programs have the capability to copy and load into your system along with the software you think you are getting. Once loaded, they proceed to cause errors and data loss. Have you ever reformatted a hard disk when you meant to format a CD-DRIVE? Have you ever typed “Y” when you meant “N”, then it was too late? You might lose your important data. The top risk of losing data is deleting files or parts of texts without having any backups available whereas updating file, deleting it is a very common activity and we do them often. A few simple clicks in the series of steps, will take a site owner towards the backup. 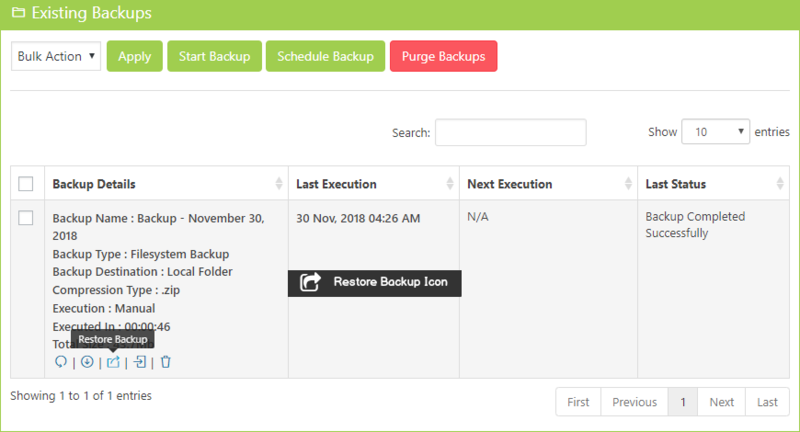 Backup Bank is an amazing WordPress Plugin which restores your backup or files that are accidentally lost, damaged, or changed. It is one of the most widely tested, reliable, and highly efficient WordPress backup plugins available! Back up your entire WordPress website (database + all WP files). 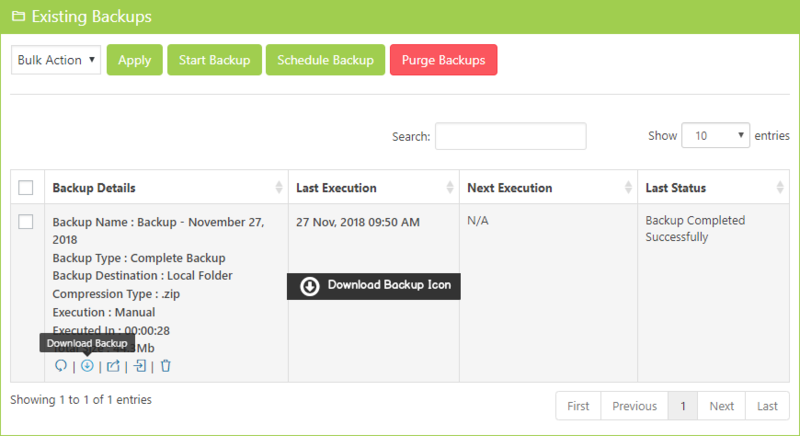 Set up backup schedules to run automatically. Send and store your backup files off-site in a safe, secure location. 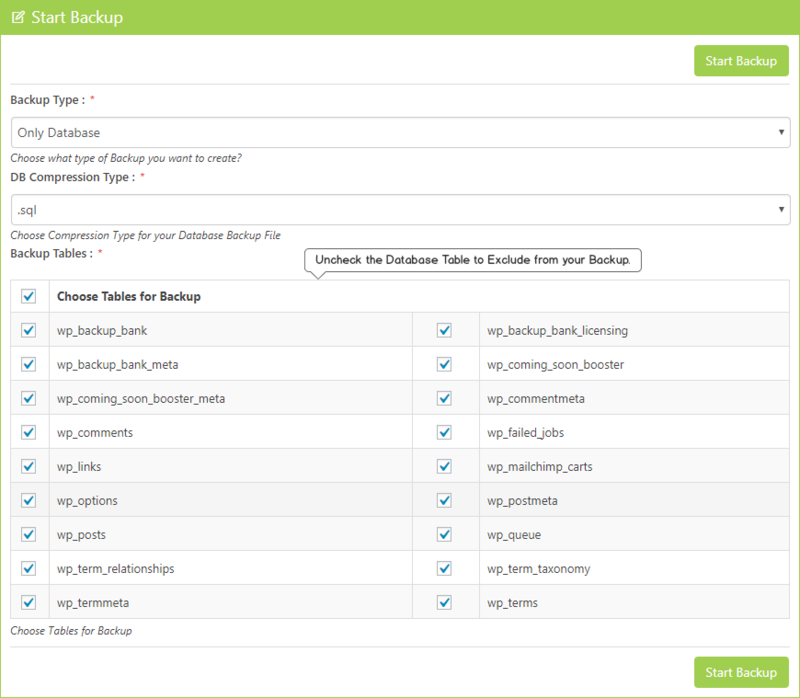 Backup Bank performs backups of WordPress files, Database, File System, Plugins & Themes, and WP-Content folder. 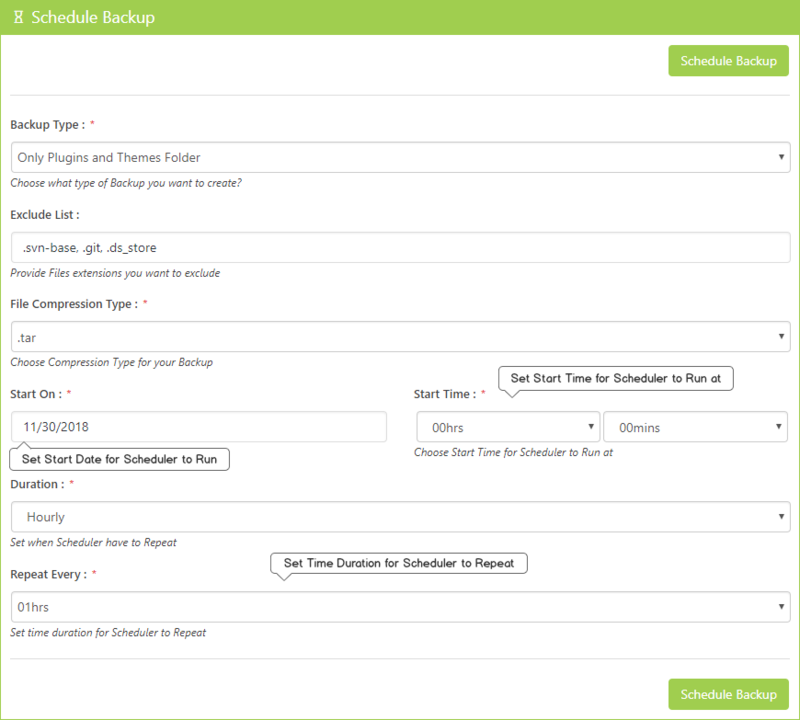 Backup Bank schedules your backups either manually or automatically. It also allows you to schedule your backups to run every day, week or month on Local System or on Remote Destinations as per your instructions. User can restore a specific previous WordPress backup or files that are lost, damaged, or changed accidentally. You can also restore files, groups of files, or databases that you’ve backed up to a previous backup if something goes wrong. After a backup completes, you can download a zip, tar, and SQL extension file of your entire WordPress website. Backup Bank allows you to compress backups in different formats such as .tar, .zip, .tar.gzip, and .tar.bzip2 so that it is easy to restore the database using the method you are most comfortable with. Choose which files (or database tables) to exclude from your backups. This is helpful if you have a folder with lots of high-resolution images or videos. Email Backup Notifications are the primary way to get notified of backups. You can know immediately when Backup Bank finishes or needs attention so you can always be sure you have a current and useful backup for your website. Store backup files off-site in a safe, secure location. It automatically sends your WordPress backup files to several remote storage locations including Amazon S3, Google Drive, Dropbox, OneDrive, Microsoft Azure and much more. Backup Bank is Compatible with Multisite or Network Sites. 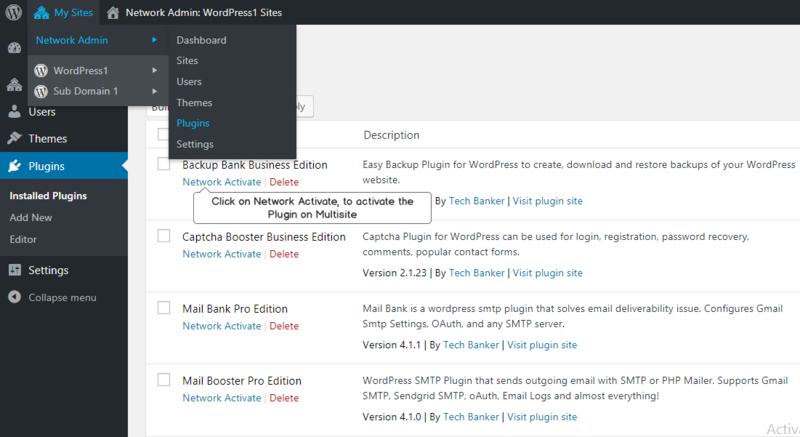 You can install Backup Bank on more than one site by activating the multisite feature. Just activate the plugin on Network Site, you are able to access the backup bank on all your sub sites or sub domains. To protect yourself from server-wide risks, always backup to remote cloud storage. Backup Bank offers a broad range of remote storage options. With easy configuration, you can store your Site backup on DropBox. Backup Bank allows you to directly store your data on Google Drive. 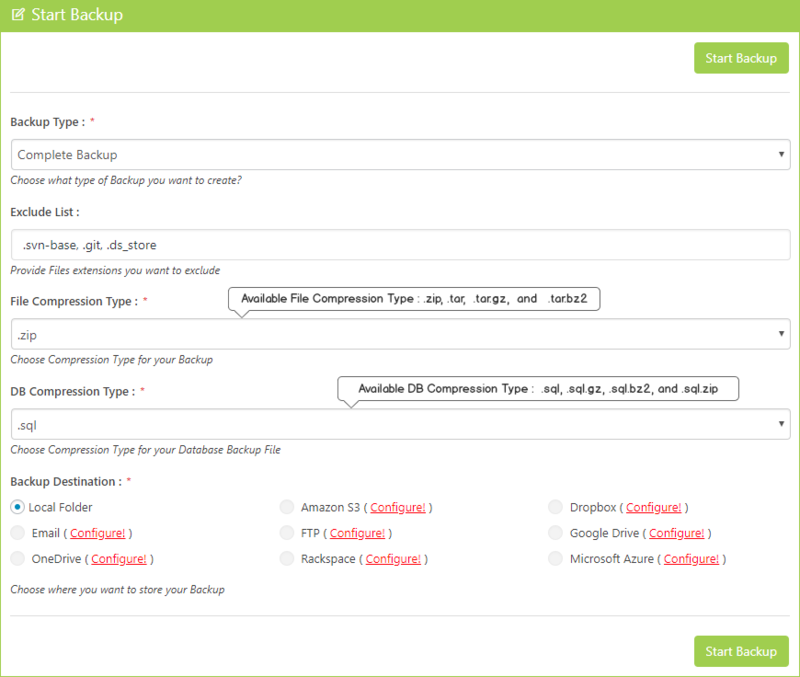 Improves your storage difficulty by allowing you to store a backup on Amazon S3. 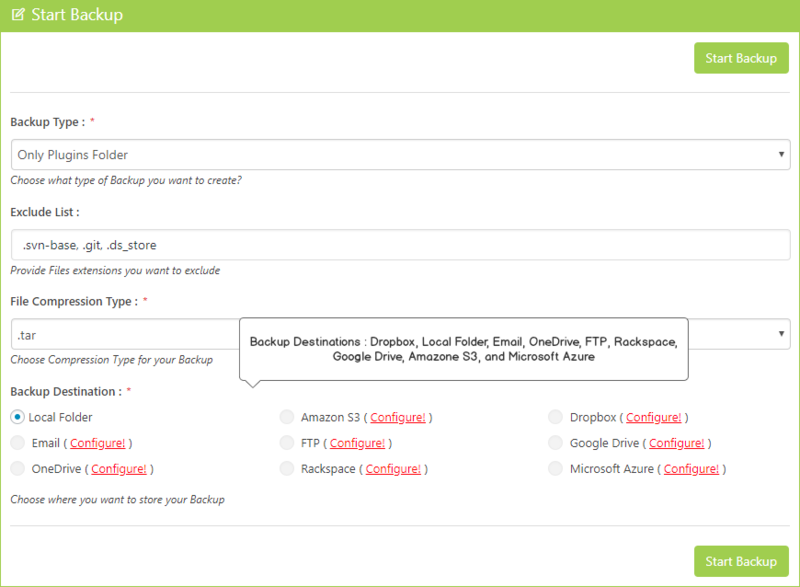 Backup Bank allows you to easily add your site backup to Rackspace. This feature allows you to store your Backup Bank backups with Microsoft OneDrive cloud storage. Great choice when it comes to store a big file, Backup Bank can upload it without any timeout. 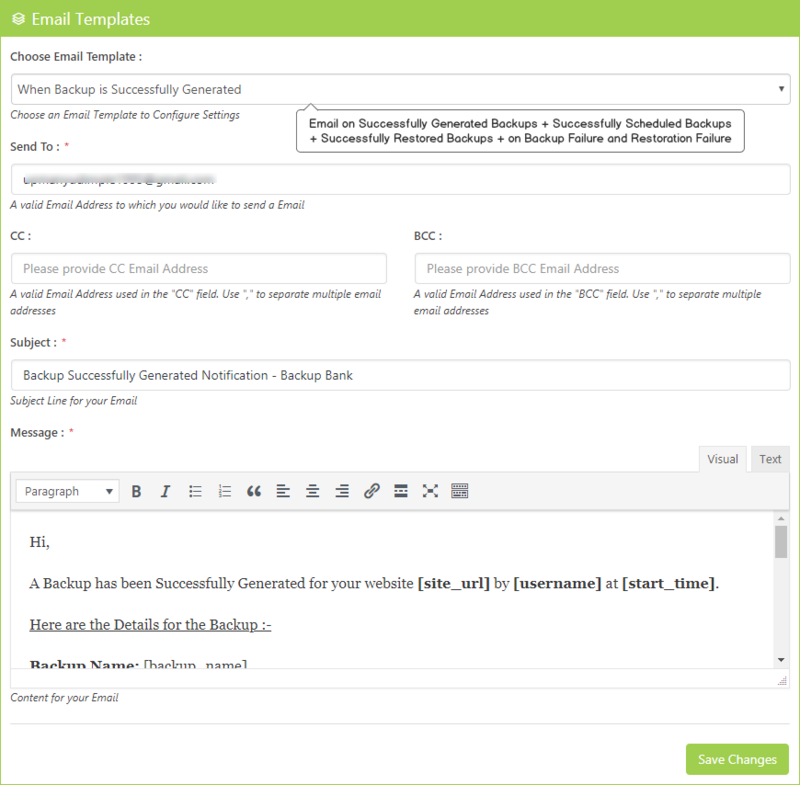 With easy email configuration, you have a simplest and cheapest way to store your backup. 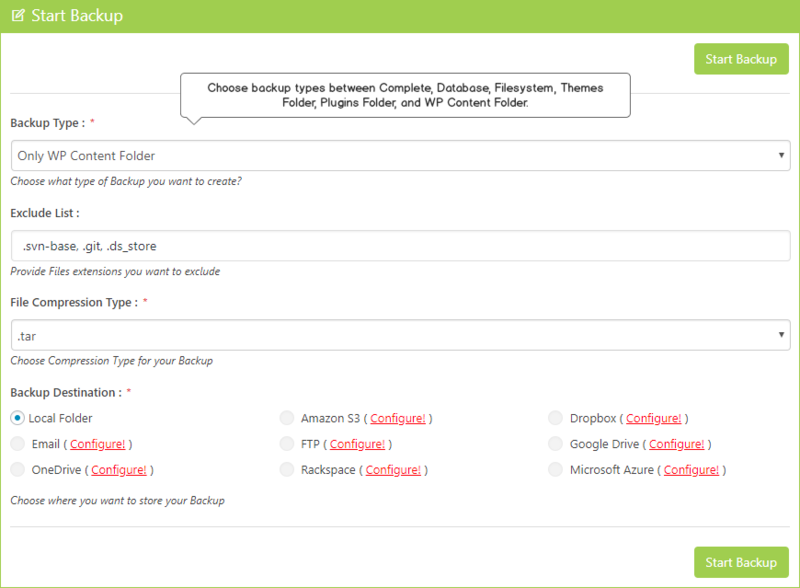 Create the perfect backup with Backup Bank and store it on FTP. Do you have a question about Backup Bank? See the list below for our most frequently asked questions. If your question is not listed here, then please contact us. On How Many Sites Can I Use Backup Bank? You can install Backup Bank on Unlimited Sites. What Exactly Does Backup Bank Back Up? Almost everything – it backs up your database and all WordPress content – which means your uploads, plugins, themes, and additional files created by plugins. You will get a notification about the Backup Bank in your WordPress Back-End whenever an update is available. You can expect that Backup Bank will get improved, optimized, and bug-free plugin every time you will update. 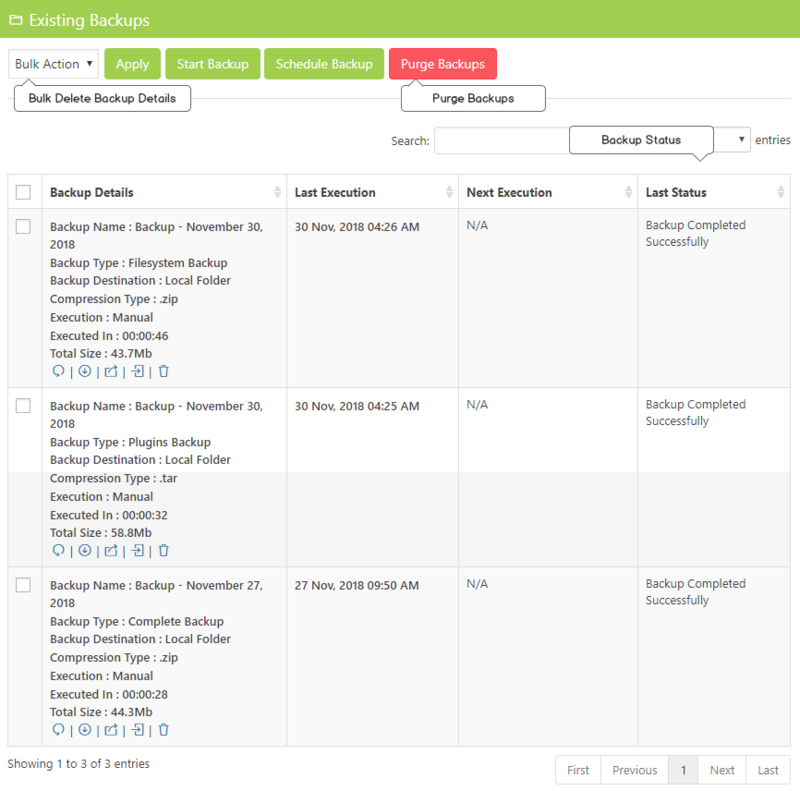 Backup Bank Pro Edition offers you Full Features, Support & Updates for Unlimited Sites. Backup Bank Developer Edition offers you Full Features, Support & Updates for Unlimited Sites with Contact Bank, Gallery Bank, Coming Soon Booster & Captcha Bank Pro Edition. Whereas Agency Edition offers Full Features with Support & Updates for Unlimited Sites with Contact Bank, Gallery Bank, Coming Soon Booster, Facebook Like Box, Google Maps Bank, WP Mail Bank, Captcha Booster, Limit Attempts Booster & Clean Up Optimizer Pro Edition. Let Backup Bank make it easy and more reliable for you.